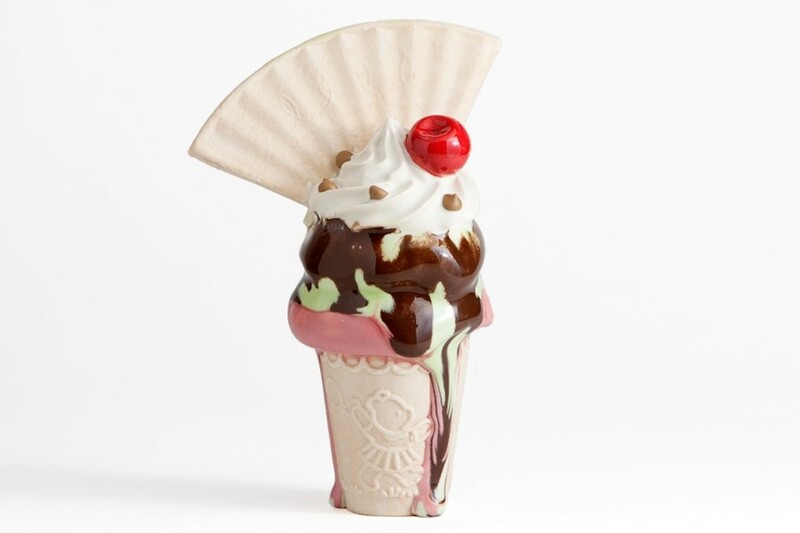 Ceramic artist Anna Barlow grew up in Cornwall, and spent much of her childhood surrounded by holidaymakers devouring cones piled high with swirls of ice cream – so it’s only natural that the artist now associates this cold, creamy treat with moments of happiness. 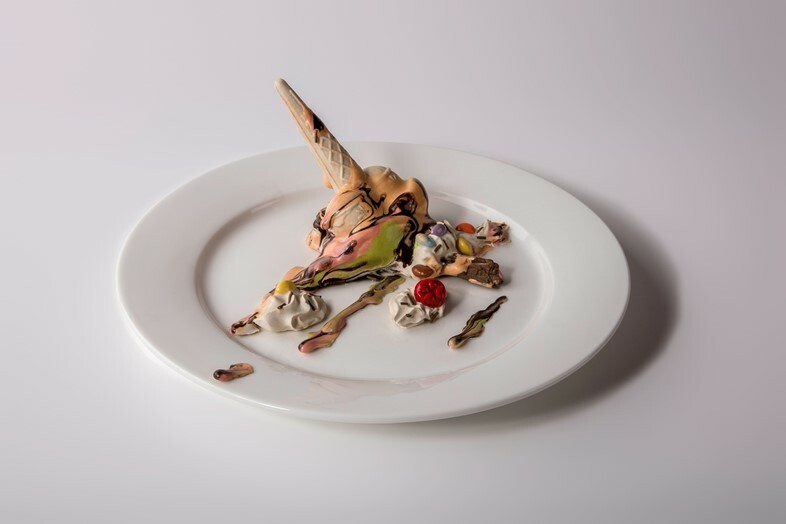 What is less predictable, perhaps, is her means of paying tribute to this childhood memory; putting her capacity for manipulating clay to good use, Barlow attempts to solidify the fleeting experience of ice cream through her piped bone china recreations, which she glazes in shades of marshmallow pink, sickly pistachio, and maraschino cherry red. 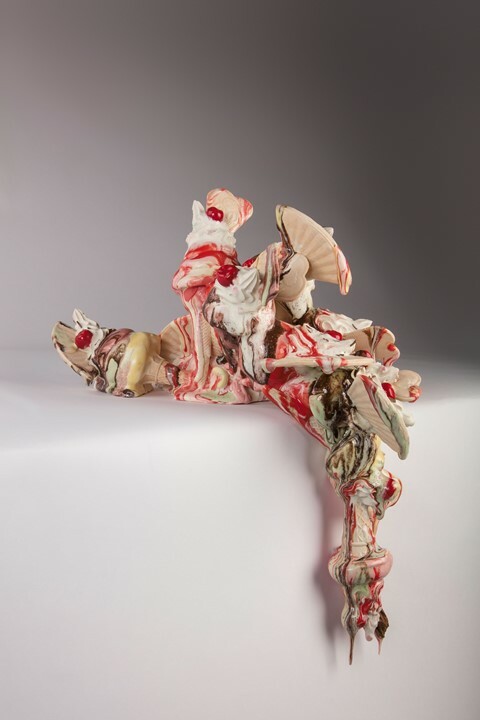 The allure of Barlow’s ceramic sculpture is twofold. 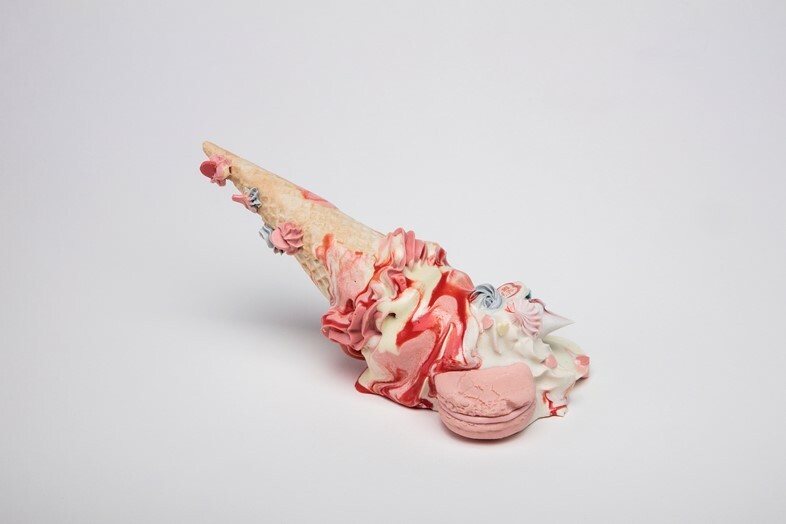 Firstly, her work whimsically juxtaposes materials, highlighting a relationship between the solid and the soft, confusing our senses and whetting our appetites (if it were possible to eat bone china, Barlow’s ice creams would be the first thing we’d go for). 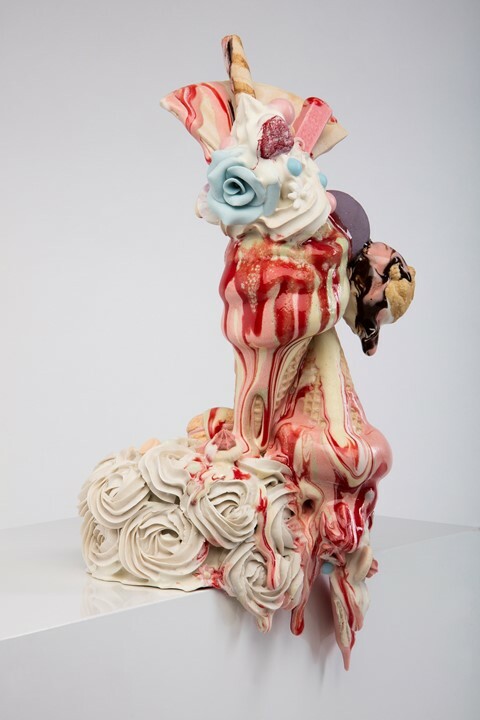 Secondly, as the artist explains, “the beauty of food left to melt and ooze holds a fascination for me. It is something that is usually overlooked and temporary, but it can be captured and frozen in time with clay and glaze”. Just as these fairytale-worthy sculptures ooze realistically over the sides of plinths, and splodge onto ceramic plates to freeze in time memories of melting desserts, so too does Barlow’s practice recall years in playgrounds and on seaside piers; her playful pieces make for a nostalgic jolt back to sensory experiences long past. It might not be ice cream van weather just yet, but here’s hoping that these delightful pastel-hued pieces provide the perfect antidote to a dreary Monday.